As Certified Briggs and Stratton and GE Technicians our primary focus is on service maintenance and warrantee work. 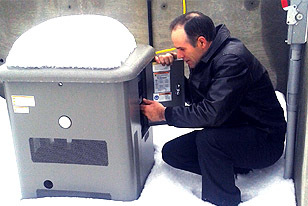 This is vital to keeping your generator operating in a safe and dependable condition. We are available 24/7 for our service contract customers. The Northern Generator, Sales and Service is a Family Owned Business. We pride ourselves on our ongoing fair and friendly relationships with our customers. We also offer sales and installation services to meet any and all of your Generator needs.